The hectic holiday season is among us, friends. I don’t know about you, but we always offer to host most of the gathers, which means a little added stress to already hectic days. While I strive for family dinners at the table every night, some nights just call for a fend for yourself dinner. We are hosting 3, yes 3, Thanksgiving dinners. We successfully finished the first one, Friendsgiving, over the weekend. And by finishing it, I mean I just finished all the dishes this afternoon finally. So obviously, this week is a little more hectic. The kids have a short school week of just two days. Friday and Saturday we are hosting the other two Thanksgiving dinners, so on actual Thanksgiving Day, we are having the kids make their first Thanksgiving feast by themselves. That leaves three nights, including tonight, leading up to the large dinners. I have pages upon pages of things to get done so I already decided… no big dinners happening these three days. I planned a slow cooker meal for tomorrow, an easy dinner for Wednesday, and today I really didn’t plan for anything. Actually, dinner time snuck up on me quicker than most Mondays. I didn’t even have the energy to throw together a 15-30 minute meal in between everything else I was getting done. That’s when I decided it was just going to be a fend for yourself dinner night. Have you ever done that? Just let everyone choose (and make) their own dinner food. It’s a nice break from preparing a full meal and spending up to a few hours in the kitchen. So tonight I threw a box of Tai Pei Mini Spring Rolls in the oven for 12 minutes and let everyone pick something out to eat. 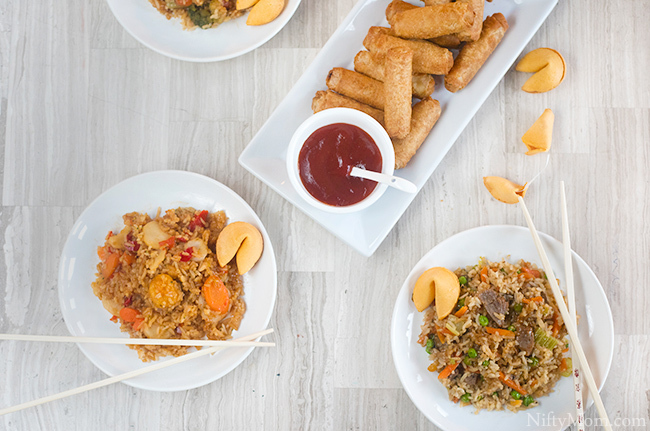 I was obviously in the mood for some Asian food, and luckily Tai Pei entrees offer a wide selection, each made with flavor-infused rice. Still stocked in my freezer, we pulled a few out for this dinner. 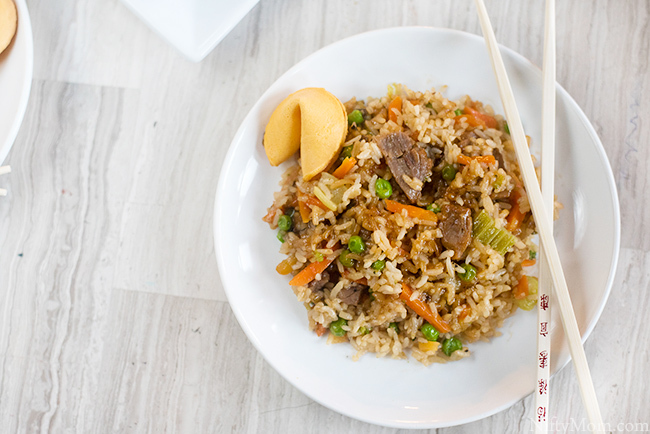 The all-new single serve line of Asian inspired frozen food is made with real, quality ingredients with no preservatives or artificial ingredients. They are great for on-the-go, squeezing in a quick lunch, or a tasty dinner. An easy delicious dinner, then back to the chores around the house. There is so much to do still before all these gatherings, and then we go right into the holiday events. I need to be ready to take the next 6 weeks head on! 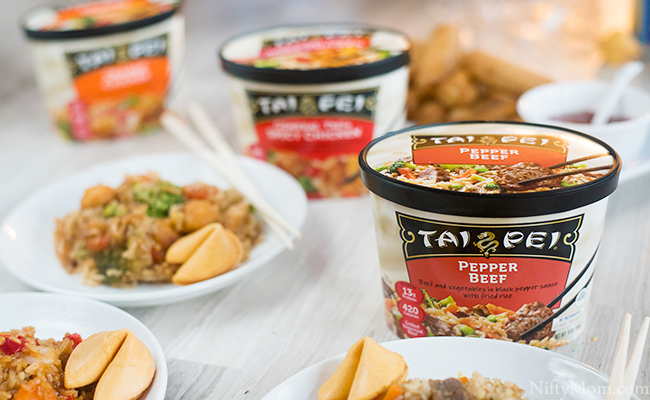 Don’t forget, you can still take advantage of the coupon for these frozen Asian food entrees, which gives you $1 off any Tai Pei single serving bowl. 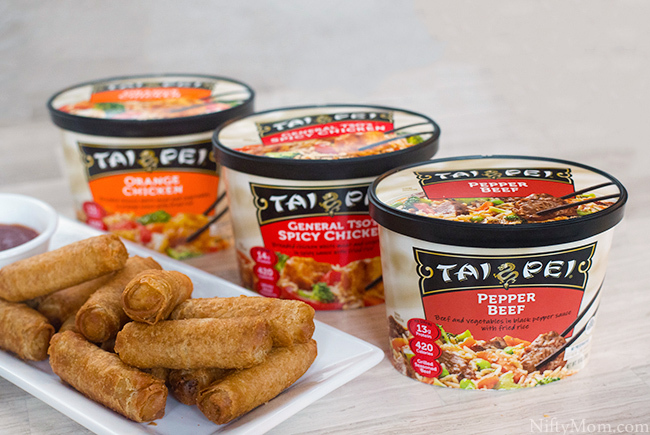 Use the store locator to find where Tai Pei single serve is available near you (in the frozen food section). 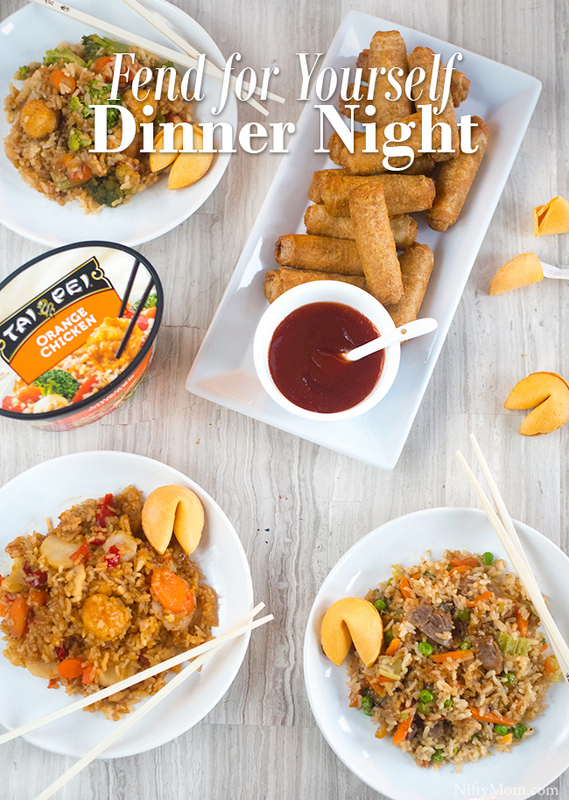 How often you have a fend for yourself dinner night?